Over my years of training Jiu-Jitsu, training has always developed new challenges and helped me break through new boundaries and seeing how I can apply the lessons learned on the mat to the rest of my life kept me excited. When I started, the idea of being able to "roll" and learn new techniques was a big drawcard. As I kept training, the learning got deeper, not just the technique, but also within myself. Seeing positive lifestyle and character changes not just within myself but among others is keeping me so motivated to improve, not just as a student but as a coach. Other than Jiu Jitsu, spending time with my family and reading. Roan grew up in Johannesburg, South African and started training Brazilian Jiu Jitsu in 2007 with Rodney King at the original Team Monkey Jits Gym and became the local representative and instructor in New Zealand and then Melbourne. Roan has years of martial arts training (and national and international competitions in ITF Taekwon Do) is backed by years of experience where he had to apply his skills while working as a close protection officer on high-risk contracts and venue security officer at some of South Africa’s most notorious nightclubs in the late 90’s to early 2000’s. In 1997, Roan’s first reality-based self-defence school opened in South Africa, and evolved into the Personal Protection Academy (PPA) doing extensive consulting and training work for the South African Police Services and the close protection and ‘safer door’ community in South Africa. 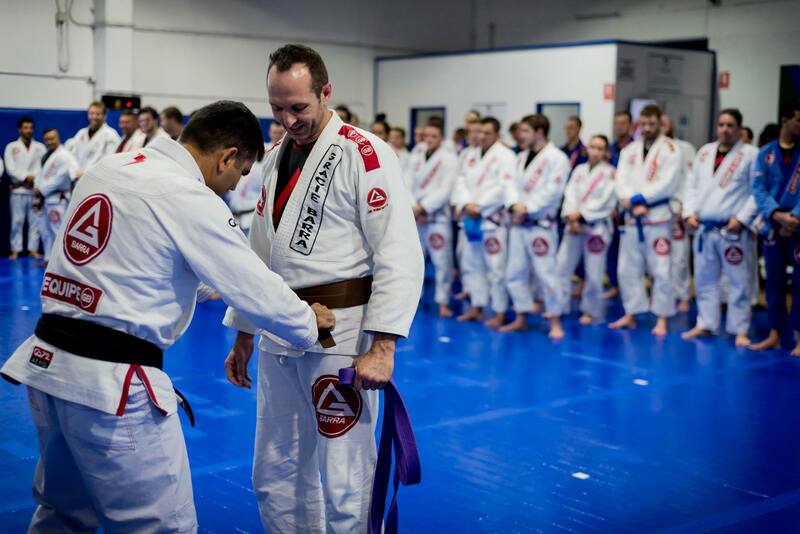 Arriving in New Zealand, Roan opened his own gym and coached Mixed Martial Arts, Brazilian Jiu Jitsu and boxing for 7 years, and recently decided to join the Gracie Barra family.